Have a YFU exchange experience in one of the most ecologically aware countries in the world! 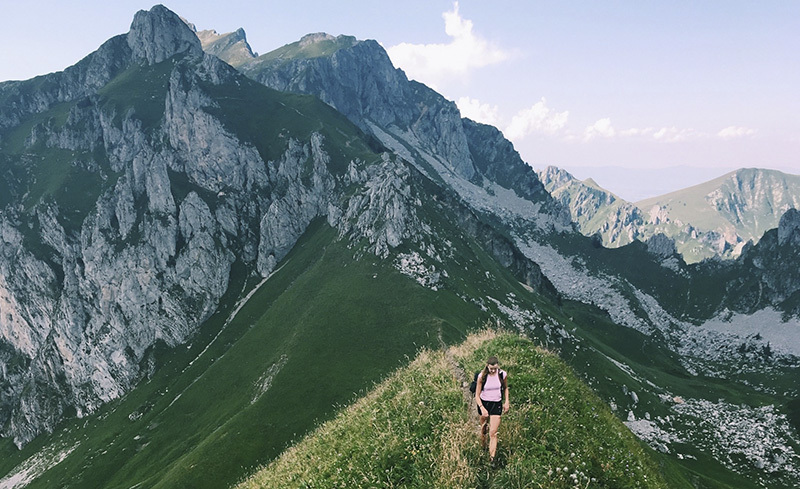 Once you see the breath-taking beauty of the Alps, lakes, and castles of Switzerland, you'll realize why Swiss culture revolves around nature and the outdoors. Have a YFU exchange experience in one of the most ecologically aware countries in the world! Guten tag, bonjour, ciao! Switzerland is a land of many languages, so take your pick on how you'd like to say hello! The Swiss outdoors - with its breathtaking Alps, wildflowers, and crystal-blue lakes - seem to be straight out of a storybook. Hike along the country's snow-peaked mountains in the summer and hear the sound of cowbells lining its quaint walking paths. Remember tales of Heidi and ancient, enchanted castles? You'll find their settings intact in this beautiful country. Most Swiss speak French or German, but Italian and Romansh are also national languages. Despite the various languages spoken, there is one language that all Swiss have in common: nature. Connecting with nature is as much a part of the Swiss culture as is enjoying music, museums, and theaters. Hiking, jogging, soccer, skiing, mountaineering, ice hockey, and cycling are also common activities. The Swiss are generally so fit that even grandmothers are often seen hiking mountain paths! Your Swiss host family will warmly welcome you. That being said, you should understand and respect the high value the Swiss attach to family privacy. The Swiss also treasure cleanliness, harmony, and consensus. Being part of a Swiss family will give you the privilege of becoming part of a small, intimate group. As part of the family you can expect to share time with each other at lunch, which is often the larger, more important meal in Swiss households. You may also try some of the foods the Swiss are known for, such as delicious cheeses and chocolates! Teenagers in Switzerland like to spend time with friends on weekends. Because cars and gas are much more expensive in Europe than in the United States, Swiss teenagers rely on bikes, buses, and trains to get around. Public transportation is very safe, clean, and efficient. If you would like to see a country that combines both a rich history with nature, then Switzerland is surely the place for you! See more information about the program compliments of the YFU Switzerland Office. In order to travel to Switzerland, students must have a visa before they arrive. Information regarding visas and other immigration processes will be provided upon enrollment. In addition to all of the application documents, students applying for the French-speaking Swiss program must submit a host family letter written in French and a color copy of the first page of their passport. It is important to note that students who have previously studied abroad for a semester or year are ineligible for the French or German Switzerland program. Study in Switzerland and choose whether you would like to live and attend school in a French-speaking or German-speaking area! As an exchange student in Switzerland, you will be enrolled in a Gymnasium/collège, which is a high school for university-bound students. As Swiss schools tend to be academically challenging, be prepared to work hard! The Swiss school system is quite decentralized, which means that your school experience may vary depending on where you are located. Some Swiss schools offer extracurricular activities and events to their students, and exchange students may have the opportunity to join in on many extracurricular events that may be happening in your community. All students applying for a semester or year program must be available for a mandatory 3-day National Pre-Departure Orientation, which usually takes place in mid-July. This orientation is a required part of the program aimed at preparing students for their experience overseas. All students will participate in a one-day local pre-departure orientation in May or June. There will be a one-week orientation camp a few weeks after your arrival. In January, you will participate in a mid-term orientation, which includes a four-day ski camp in the Alps. Before your return home, you will have a re-entry orientation with other year students in Switzerland. All orientation costs are included in program tuition. Students who have less than two years of language study for German-speaking Switzerland will be enrolled in an intensive four-week language training option available for an additional fee of approximately CHF1,100. Students are encouraged to start studying German immediately after they have been accepted to the program. Students wishing to study abroad in French-speaking Switzerland must meet the two-year language requirement. Prior to departure, students will take a language test. Upon arrival, students may be required to take an intensive language course if they do not meet an A2 level of French. If you really enjoy learning new languages, then you should definitely consider living in the German-speaking region of Switzerland! While all written language and school studies are taught in the standard German, this is not the spoken language of the people. Swiss German has some similarities, but also varies considerably from standard German. YFU host families are asked to speak standard German with their student while at home, however you will quickly become accustomed to the Swiss-German dialect in your area as everyone outside of school and your family will use the local dialect. This is a great way to learn more than one language during your time abroad! Many additional events, such as family meetings and regional gatherings, might take place locally throughout the year. A four or five-day ski camp in a Swiss skiing resort. This trip is organized by YFU Switzerland and with an additional fee includes room and board, ski pass, and travel from the host family to the destination. Fall Programs: March 1, 2001 - September 1, 2003. Students who do not meet this age requirement or will graduate from high school before the start of their program will be considered for admission on a case-by-case basis. Romansch, Italian, German and French. For French-speaking program: 2 years of French language study is required. German-speaking program: None. Students will take language training courses while on program. Most host families are located in small cities or villages close to metropolitan areas. Swiss families usually eat dinner together. Dinnertime is the perfect opportunity to discuss what happened during the day, to share ideas, and make plans for the weekend or holidays.